BLT Steak has five different varieties of richly marbled, drool-worthy wagyu starting with the holy grail of beef: A5 Japanese Wagyu. 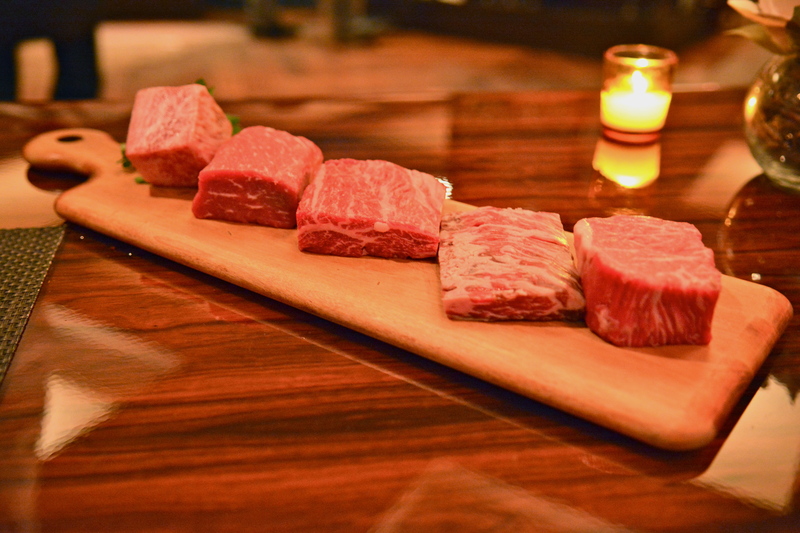 There’s also American Wagyu Ribeye, American Wagyu Strip Pave, American Wagyu Top Cap and American Wagyu Skirt. The Best Beef on the Menu (BBM)? Step aside A5 and make room for Top Cap. There’s something special about the spinalis dorsi that’s unique, gamey, tender and buttery. It stood out from the herd. Stopping at steak would be a crime, however. So let’s look beyond the beef. BLT Steak’s brand spanking new, uber talented executive chef, Jeremy Shelton, brings a lot of technique to DC all the way from Miami. 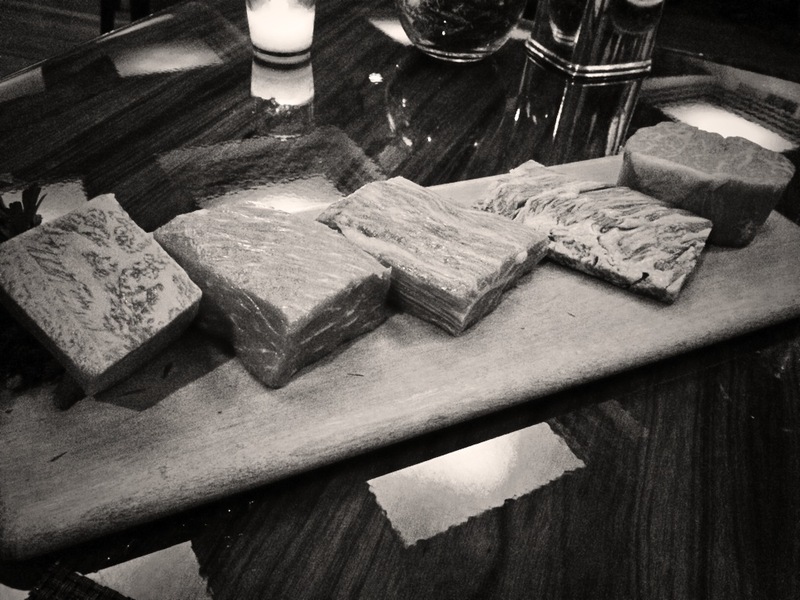 He builds layer upon layer of flavor in his dishes and his raw scallop rivals Komi’s (sorry Johnny!). 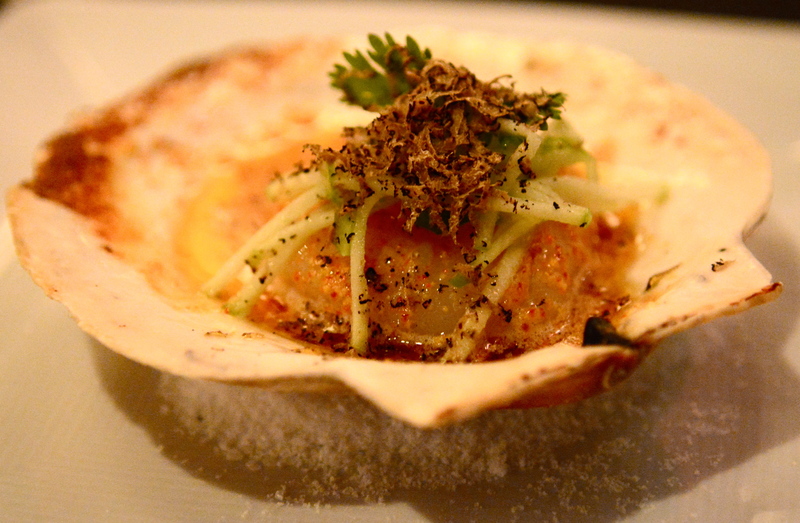 A colossal scallop is dressed in the most elegant attire – shaved truffles and green apple slivers. But, the real burst of flavor comes from the yuzu butter, which packs a punch. We’re always appreciative of Japanese influences. Another can’t miss dish is the rabbit. Though not yet displayed on the menu, this stunner is as shiny as General Tso’s chicken and super soulful. Sometimes it saddens me to see a protein plated with its favorite foods (carrots and other shaved veggies), but I got over it quickly. After the first bite in fact. 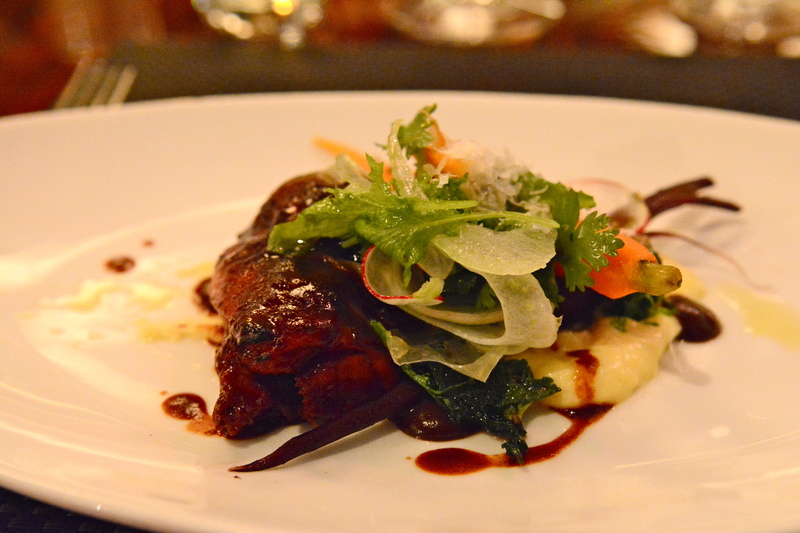 I never knew rabbit had the capability to fall apart like a good short rib. You’re in for an impressive evening at BLT Steak regardless of whether you go for the beef or stray to other corners of the menu. Click here for more photos. American Wagyu Top Cap not the Best Beef on the Menu? Share your favorites in the comments section. This entry was posted in Restaurants and tagged A5, Best Steak Restaurants, BLT Steak, DC Steakhouses, Japanese Wagyu, Jeremy Shelton, Rabbit, Scallop, Top Cap Sirloin, Truffles, Wagyu, Yuzu. Bookmark the permalink.